Moscow, April 4, Interfax - On Tuesday morning Patriarch Kirill of Moscow and All Russia held a requiem service for all killed in the terrorist attack in St. Petersburg. “This terrorist attack casts a challenge not only to authorities, not only to law enforcement agencies, not only to those, who are responsible for security, but to all of us, all people,” he said before the requiem at the Lower Transfiguration Church of the Cathedral of Christ the Savior. 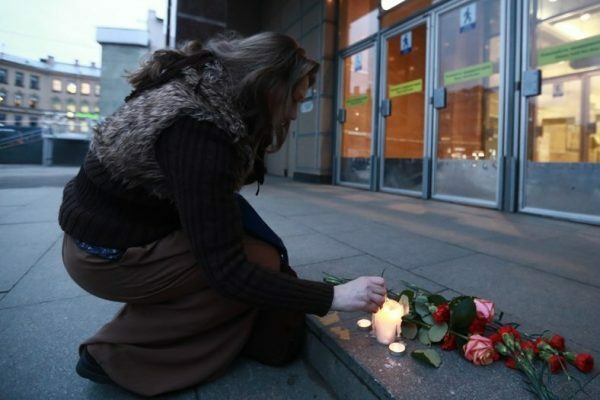 14 people were killed and dozens injured in a blast on the St. Petersburg metro Monday, which took place between Tekhnologichesky Institute and Sennaya Ploschad stations.